I downloaded your source from shared Github in this topic and tested it. But it seems it only run on Brower not on Android :(. I used Android Studio (2015) to imported shared project. It runs fine on Brower but when I run on Android simulator, the list of items is not loaded. 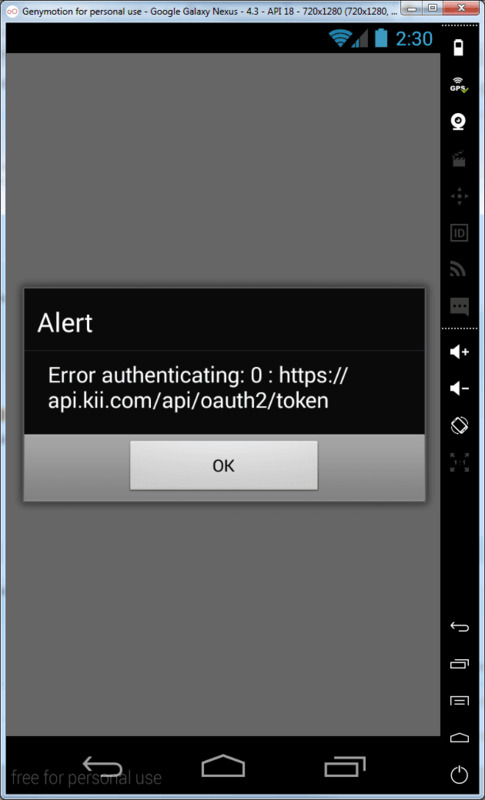 I put alert(..) notifications in kii-adapter and found that after initializing Kii successful, the alert(..) which put on KiiUser.authenticate(..) not displayed. It means I cannot log in from Android (I think so). 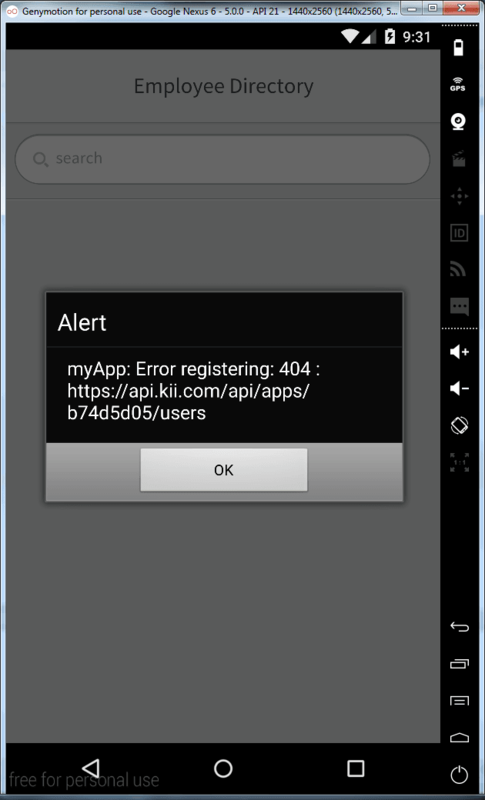 // Create a user scope bucket named "employees"
Go to developer.kii.com and create a US based app there, get the app id and app key and replace in the file. Even I input my app_id and app_key as well as my username, password, I do not still log in. My app_id, app_key, username and password are ok because I tested them on other app and they run fine. One more thing that is I downloaded your project from Github and replace my information (account, app_id, app_key) into your exist code.